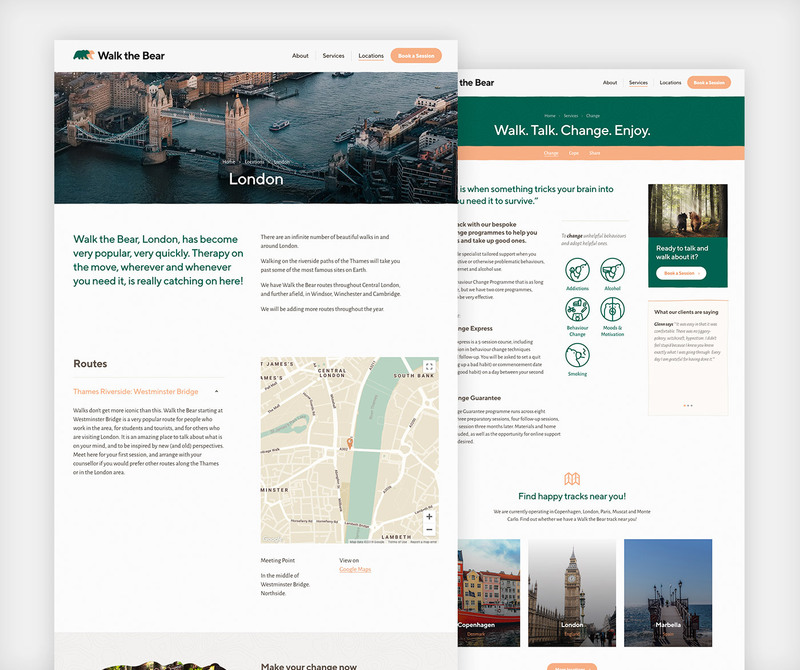 Walk the Bear approached us to create an online presence for their brand-new, walking, talking therapy organisation, complete with a custom built booking system. We started the project creating wireframes to achieve the best possible user experience. This mapped out the full experience both for the main website and for the booking system. 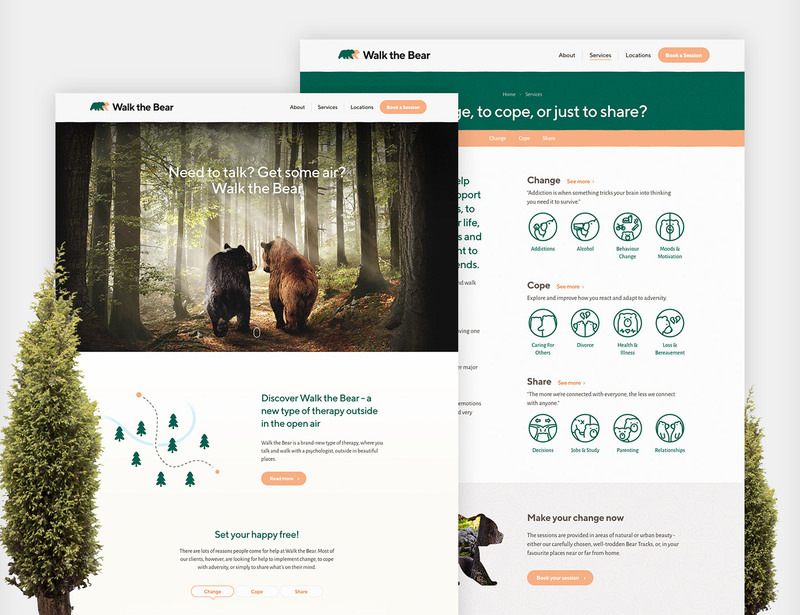 Once the wireframes were completed, we worked on designing a website that cleverly integrated Walk the Bear’s brand. The website was fully responsive and maintained the same great experience when using a mobile phone. To represent all of the services that Walk the Bear offer, the team illustrated several custom icons. Each icon featured a bear to roll the brand out throughout all of the icons. 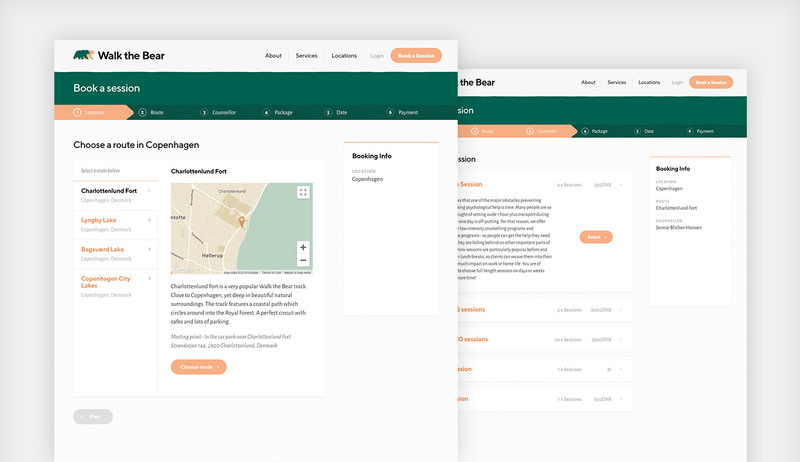 To make it easy for the user to create a booking and for Walk the Bear to manage their bookings, a custom booking system was developed using Laravel. We started by creating a wireframe prototype in order to refine the user experience, then developing the wireframes into high-fidelity interfaces following the brand guidelines. The booking system features an easy-to-use administration suite so that appointments can be viewed, changed or cancelled. For the user, the booking system is a simple step-by-step process to make appointments quickly and easily. See the video below to view the process of booking an appointment. "I am very pleased with the results, and can really recommend working with Supremo. They clearly have a passion for their work, and also a very friendly, patient and flexible approach to the working relationship. On the creative side, they are great - delivering on and going beyond the brief. Really good experience working with them." 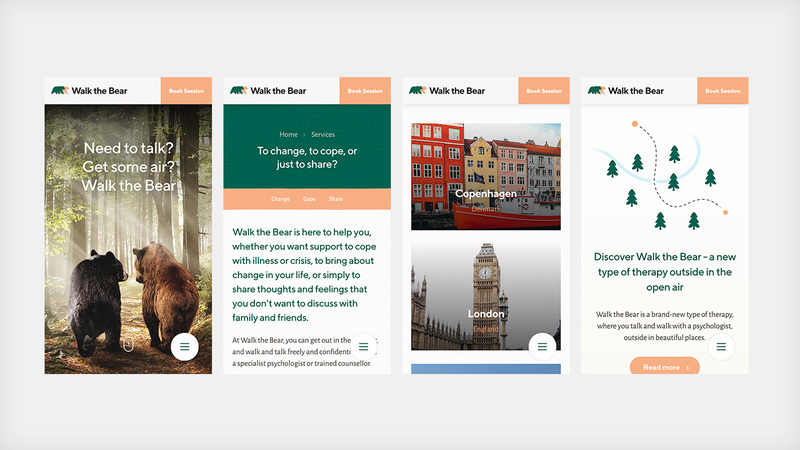 Check out the new website for Walk the Bear, a brand-new, walking, talking therapy organisation.